The Pitney Bowes DM160i franking machine is a great choice for businesses sending around 100 mail items per day. Why consider a DM160i franking machine? The DM160i franking machine from Pitney Bowes is a perfect choice for businesses which send around 100 items of mail per day. It will frank mail at an impressive speed of 40 letters per minute which could transform the efficiency of your mail processes leaving you with more time to run your business. The machine’s IntelliLink technology will automatically update your machine so you’re always working with the latest software and current postage costs. The integrated 2.5kg scale means you can accurately frank each item with the correct postage and avoid errors and fines. By investing in a Pitney Bowes franking machine you are investing in both quality and reliability. 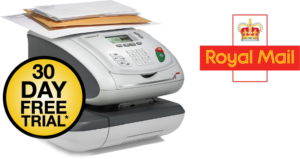 The company has over 90 years of expertise in producing innovative solutions for businesses and is one of only four franking machine suppliers authorised by the Royal Mail. What post can you send with a DM160i? The DM160i will send First Class, Second Class, Priority, Express, Postcard, Flat Rate, Parcel Post and International mail classes including parcels up to 2.5kg. 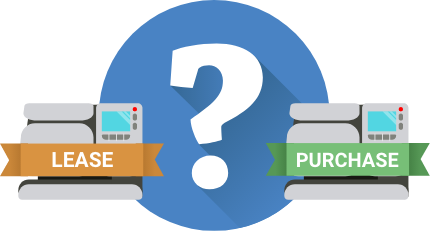 It’s possible to upgrade to a 7kg, 12kg or even 35kg scale if your business sends heavier items on a regular basis or to integrate an external scale. The DM160i is recommended for offices sending up to 100 items per day, but this is not limited so it can always process more if needed. There are big savings to be made by franking your mail rather than paying for standard postage. How much you will save will depend on the type of mail you’re sending and will adjust slightly each year in line with the Royal Mail tariff. The DM160i includes IntelliLink technology which will update the machine’s software and download the latest tariff to ensure you’re always up to date. Store up to 5 presets for your most commonly used mail items to save even more time when processing your business’ post. The DM160i can be programmed with up to 25 user or department accounts for maximum visibility and control over your mail output and expenditure. This can be increased to up to 100 accounts if needed. Compact and streamlined with dimensions of just 345 x 230 x 400mm for even the smallest offices. Your account and funds are protected by PIN security for peace of mind. Print bespoke advertising message, logos or even QR codes on your envelopes to reinforce your brand with recipients. The DM160i automatically downloads the latest Royal Mail postage tariff using IntelliLink to ensure you’re always up to date with accurate costs. If you’re interested in saving on your business’ postage costs with a Pitney Bowes DM160i franking machine, we recommend comparing multiple quotes to make sure you’re getting the best deal.